This homemade hazelnut coffee creamer only takes 5 minutes to make and is such a kitchen staple! 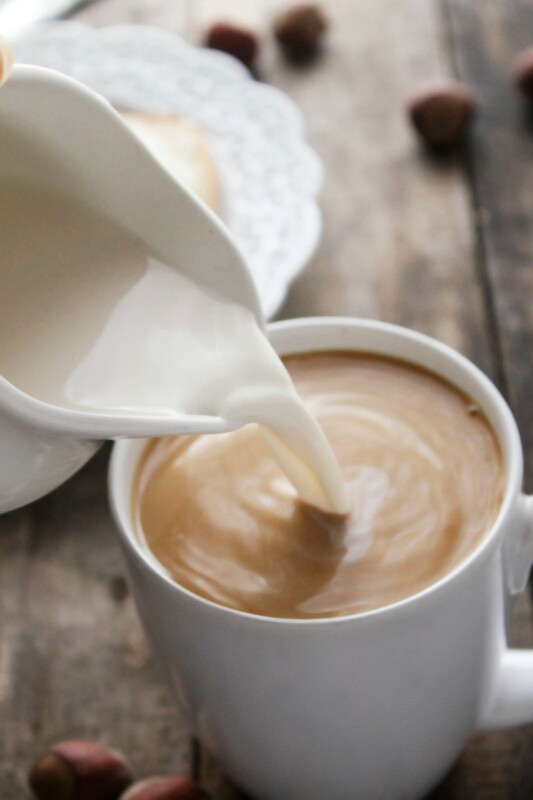 Made with 3 simple ingredients, it’s so much healthier than storebought creamer. I grew up drinking hazelnut coffee. Not necessarily because that was my favorite flavor of coffee, but just because that’s what my parents would buy. So for all of my coffee drinking years, that was all I had. So when my mom stopped buying hazelnut coffee about a year ago and swapped it with regular coffee, I didn’t really notice a difference. But since you guys LOVED my last coffee creamer recipe, which might be the best French vanilla coffee creamer you will ever come across, and because so many of you requested a hazelnut version, I got to work. The second I whipped out the hazelnut extract and got a whiff of the scent, a sudden wave of nostalgia washed over me. All those years. All at once. It was a little overwhelming. But I continued on with the recipe. 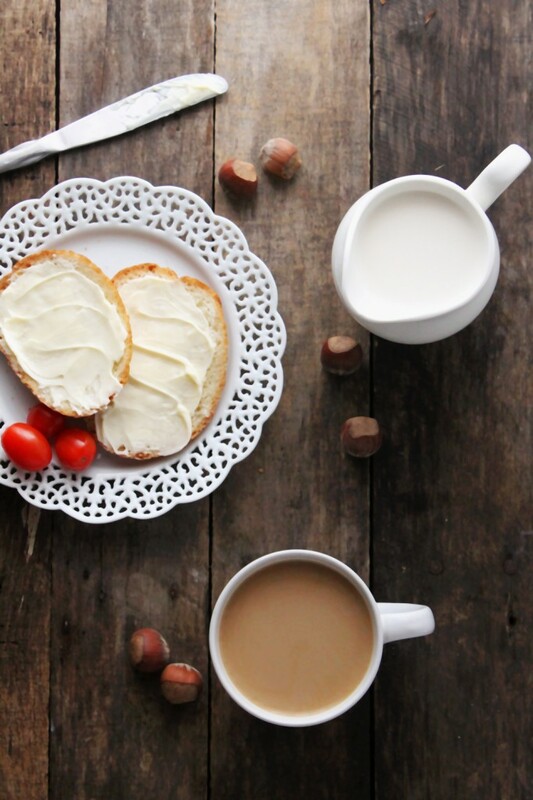 Once I had finished, I poured the creamer into a cup of coffee and took a sip, and I was home. Well, I mean obviously I was at my house, but when I drank that little bit of hazelnut coffee, in that instant, I was home. I bet you’re wondering how to make this super simple, 3-ingredient hazelnut coffee creamer, so let’s get started! 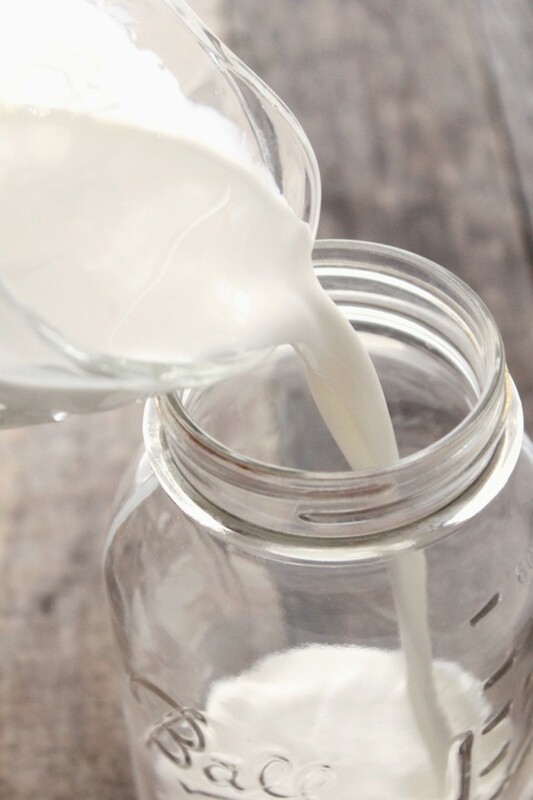 Start by pouring 2 cups of half-and-half into a quart jar. You can also just use 1 cup of heavy whipping cream and 1 cup of milk if you don’t have any half-and-half around. Then pour in 1/4-1/2 cup of pure maple syrup or honey. 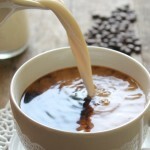 Depending on how sweet you like your coffee, add more or less sweetener. I like to use 1/4 cup. I prefer using maple syrup in coffee creamer because it mixes into the half-and-half better than the honey. Honey is a lot thicker and can take longer to mix into the creamer. And now for the most important part—the hazelnut extract. Add in a teaspoon or so, depending on how strong of a flavor you want. Also, I thought I might add that the hazelnut extract I used was clear and that’s why you can hardly see it in the teaspoon. Then just put a lid on the jar and give it a good swirl/shake and voila! 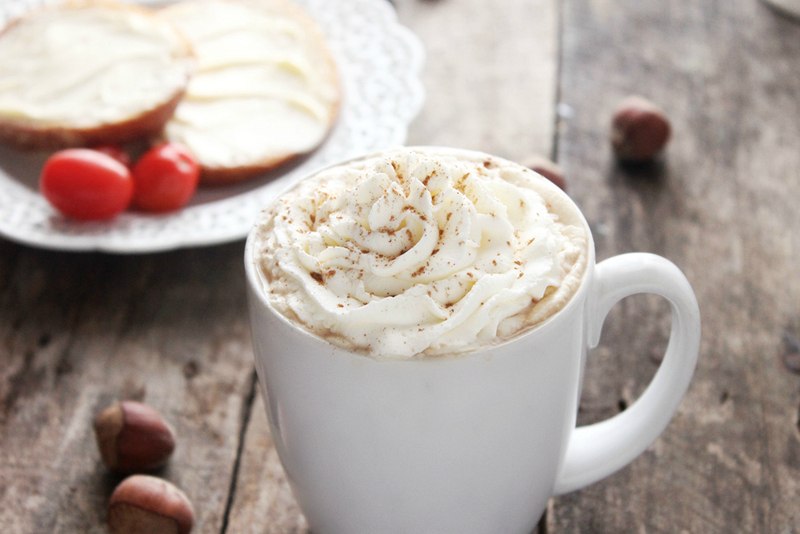 Your very own homemade hazelnut coffee creamer. Easy, right?! Well for one, it’s really convenient. People who drink storebought coffee creamer understand the convenience. 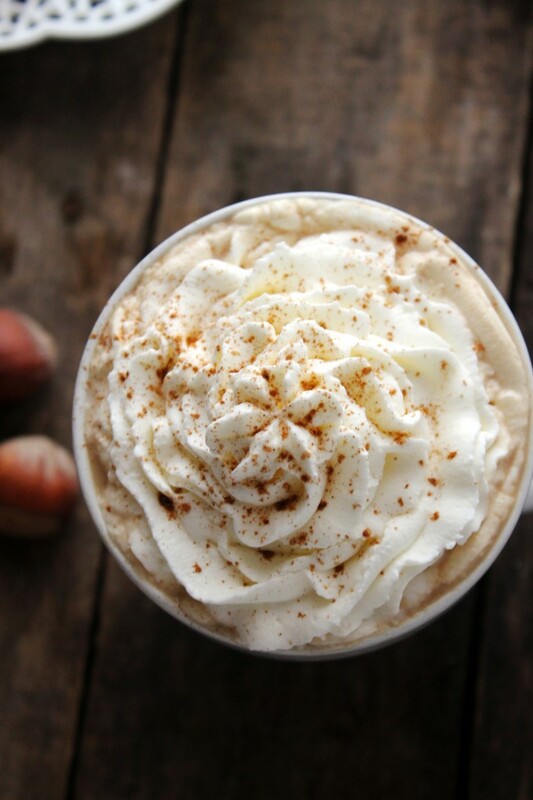 Well, all you have to do is spend less than 5 minutes once a week whipping up a batch of this hazelnut coffee creamer, and BAM—same convenience, less scary additives, more deliciousness. This creamer makes coffee delicious. And it’s easy to make. Enough to reason to make it, right? In a quart jar, combine the half and half, maple syrup, and hazelnut extract and stir. Place the jar in the fridge to chill. Creamer will stay fresh for about 10 days. 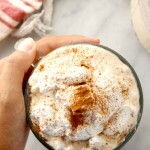 If you liked this recipe, you’ll love this Homemade French Vanilla Coffee Creamer or this Homemade Pumpkin Spice Coffee Creamer! 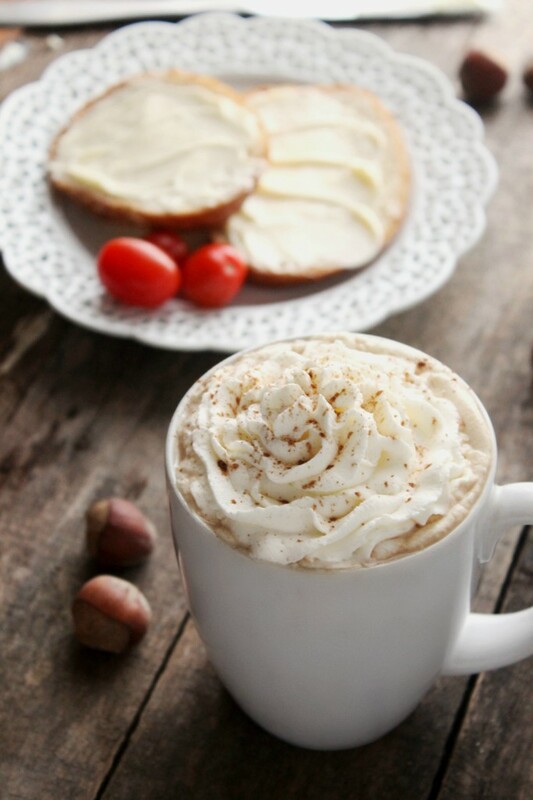 What’s your favorite flavor of coffee creamer? Let me know in the comments below! 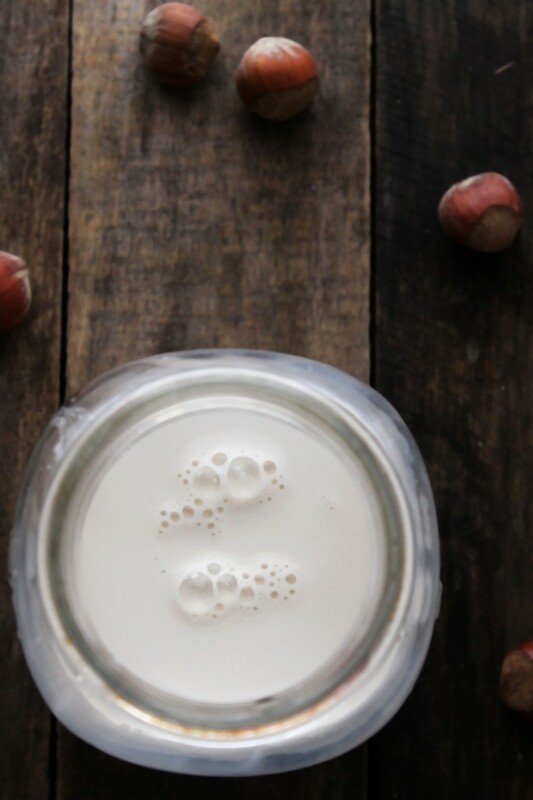 My husband has hazelnut creamer every day in his coffee, I love that I can now try making it at home with only 3 ingredients! I’ve always loved hazelnut, but I’ve never tried it with my coffee. That’s why I’m so excited to try this creamer with my coffee sometime. I like that this recipe only uses half and half, maple syrup, and hazelnut extract. That seems like a simple and more natural way to make coffee creamer. Great idea and lovely images! Thanks for the incentive too – I’ve been meaning to start making ours at home, and have just been putting it off. Throwing this together is easier than driving to the store, so thank you! My husband is going to love you! I am thinking it would be okay to use all cream. And I am thinking a person could whip it. And I am thinking that if it were whipped and frozen, it would make a wonderful scoop in the bottom of the cup, to pop to the top like a marshmallow. Any idea of hazelnut extract is food or chemical? I’m hoping food!!! P.S. Found you over at Blog Clarity and saw you never got a reply. 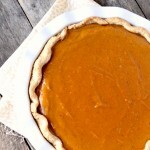 SO thankful I found this recipe! Yeah, you’re kind of a genius! Hi Katharine! Thanks so much for the kind words—I’m sure your husband is going to love this coffee creamer. And I use pure hazelnut extract, which is natural. Hello if you don’t mind me asking what brand /style dinnerware is that the lacy doily looking saucers and plates are stunning! I believe I got them from Pier 1 Imports! This looks so good! I’ve never used hazelnut extract, but now I want to! 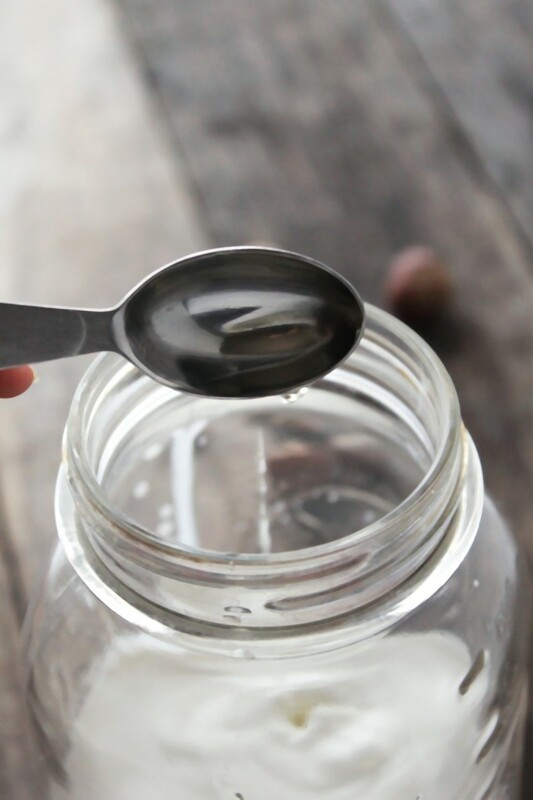 Because I am dairy free now, I use a coconut coffee creamer, plus a little agave to sweeten it up….but I must admit, I miss the days that I was using the (store bought) hazelnut creamer! 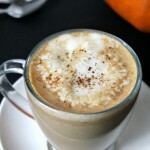 I am hoping this recipe will work with the coconut cream, and satisfy my hazelnut coffee craving! I’ll be trying this today! Thank you! 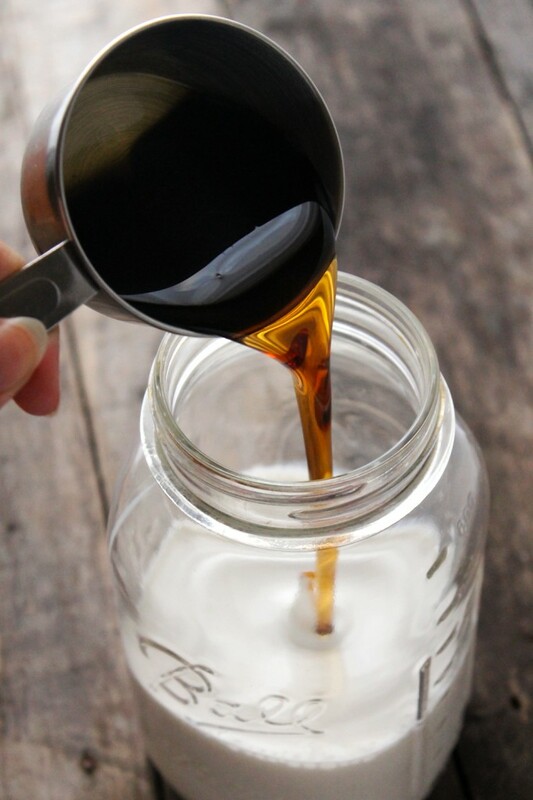 I make my own coffee syrups, simple syrup with the flavor, to put in my creamer. It’s nice to see a recipe that doesn’t use sweetened condensed milk. There are so many of those. By making different syrups I can switch up my flavor every day. The syrup keeps longer than the cream so sometimes I make different syrups and just have the creamer base. I use a organic sugar or stevia. 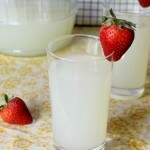 The syrups work so well with so many other recipes too. Simple syrup infused with lemon and lavender is the base of my lemonade too. Looks great! I will give it a try. Thanks for sharing! I don’t like my coffee sweet. Will this hazelnut work without the maple syrup or any other sweetener? Sure. 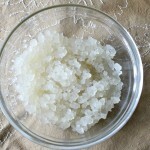 Some family members have tried this recipe with other sweeteners, like agave syrup. I do not know the proportions unfortunately. Thank you so much for both coffee creamer recipes . Where would I find pure hazelnut extract at ? Hello. Instead of using the halzenut extract for the creamer…I love pistachio creamer. Can i use pistachio extract with the heavy cream and syrup?